The most significant trend of the year is eating for mind and body. Nowadays food trends are shared, discussed, followed and forecasted all over the world on social media. These trends quickly find their way in restaurant menus and food pop-ups. The trends show that we are going back to our roots. Our love for the traditional is growing but with a tint of the western culture. Thus, food business enjoys profit throughout the year. Chatar Patar is a street food franchise that offers traditional Indian street food with western twists like Chatizza, Zapppi, Maggie, Pan Shots and pani puri flavors at reasonable rates. Kolkata, celebrated as the “City of Joy” and “Cultural Capital of India” is the capital of India’s state West Bengal and sprawls on the bank of Hooghly River. This city is an unbelievable conglomeration of fine arts, music, dance, literature, education, commerce, technology, food and beauty. The city is known for its artistic, literary and revolutionary heritage. Kolkata harbors many cultural institutions of national importance such as the Victoria Memorial, the Academy of Fine Arts, the Asiatic Society, the National Library of India and the Indian museum. The biggest science center in the Indian sub-continent, the Science City is located here. It is the third most productive metropolitan area in India. Kolkata’s restaurants and eating-out culture is dated long back to the time when Indians in other cities were not so much into it. Flury’s, on Park Street, was once considered the best English bakery in entire Asia. But it is said that the joy of food in Kolkata is in its Indian foods. The streets are filled with eateries and stalls selling egg rolls/chicken rolls, mughlai parathas, chops etc.Bengali sweets like roshogullas, mishiti doi, sandesh and rosomalai are prominent in entire India. Bengali food revolves around fish and Macher jhol is exponentially loved. Puchkas, the Kolkata version of pani puri is available everywhere on the streets but here comes a warning for the water filled in it. Cheap chaat on the streets of Park Circus can be encountered, but with growing health concerns and awareness of hazards of street food people hesitate to eat at the local vendor’s stalls. Chatar Patar’s chaat franchise provides a solution to this. We work untiringly to bring you the best traditional and regional taste without your health on stake. 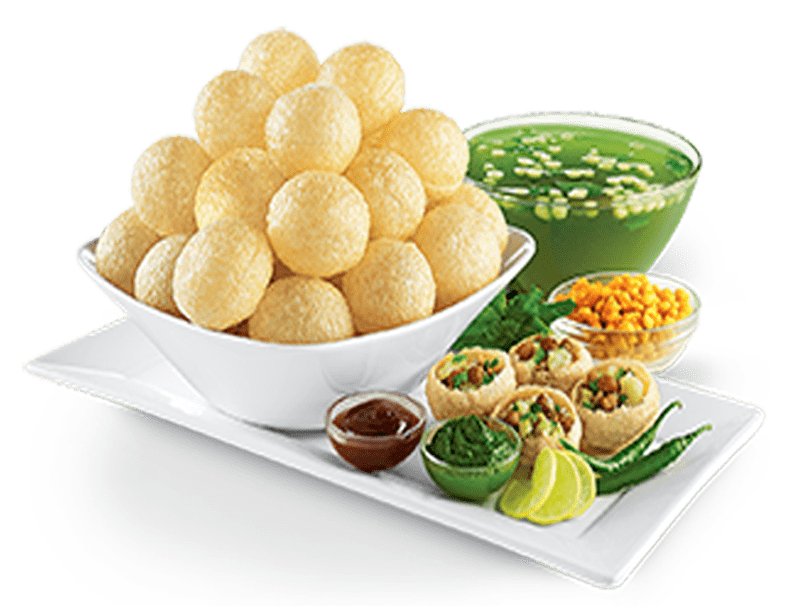 A wide range of innovative and exclusive flavors of pani puri are hygienically prepared to take care of your tongue and tummy needs. There will always be old stamping grounds but luckily there is always scope for new entries to the ever flourishing food industry. Chatar Patar provides a cracking combination of yummy food and service to keep its customers coming back and adding to the pockets of its franchisees. There are many shopping malls such as South City Mall, Metropolis Mall, City center, Orchid Point, Forum and many more plus the local markets like Maidan Market for sports items, Chandini Market for small electronic gadgets and New Market for all kinds of clothing, toys etc. People on a shopping spree here often look for some quick and filling dishes. It will be an adequate site for the settlement of Chatar Patar’s street food franchise. With low investment franchisees can avail sizeable monetary benefits apart from business support; assistance in site selection, opening tactics, marketing strategies, brand recognition also plays a crucial role in the success of a business. There are stunning museums and galleries like Indian Museum, Town hall, Marble Palace, Sabarna Sangrahashala etc. located in the city. Eden Gardens, Indoor Stadium, Howrah Bridge, Rabindra Sarovar and The Kalighat Kali Temple are some of its vital sites. Durga Puja is the most celebrated and awaited festival of West Bengal. This is a ten-day religious, social and public event. Residents of Kolkata also engross in addas for some intellectual freestyle exchanges and this culture can be an extensive boom to Chatar Patar which already owns a highly rewarding and trustworthy outlet in the city and is ready for expansion. To make your entrepreneurial dreams come true, owning a chaat franchise in this “City of Furious, Creative Energy” is a must.